Hello first good morning I am ayman. I also want to learn AFF how to go. Somehow I wanted to make course. 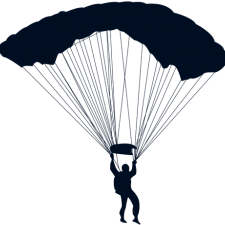 I had parachuted jumps with me a couple of times but would rather jump alone. But I'm deaf, I do not know if it works or should not be. But I really want to make affic. Thanks would be nice if it works. I do not know about the part of the world you are in, but I have taught several deaf skydivers without issues, and I know there are a lot out there. Contact dropzones near you and talk to them. He's PM'ed me. Have yet to hear back from him, but he appears to be from Saudi Arabia.